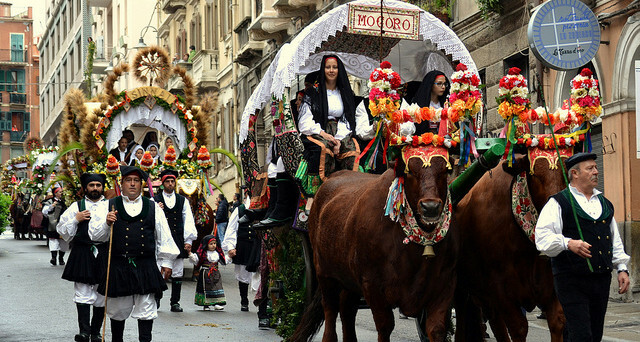 Every year – since 1652 – a colorful procession of carriages, knights and faithful accompanies the statue of Sant Efisio from Cagliari to Nora, the final stage of the procession. 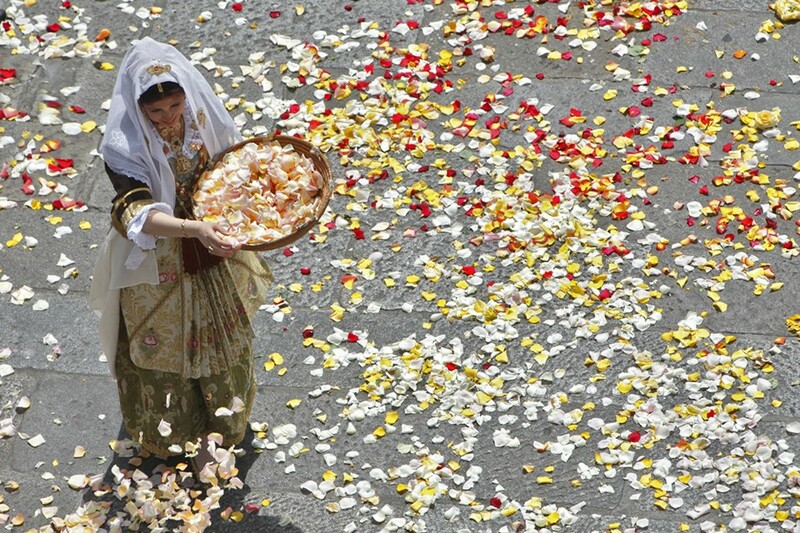 For the whole year the people of Sardinia is getting ready for the feast. 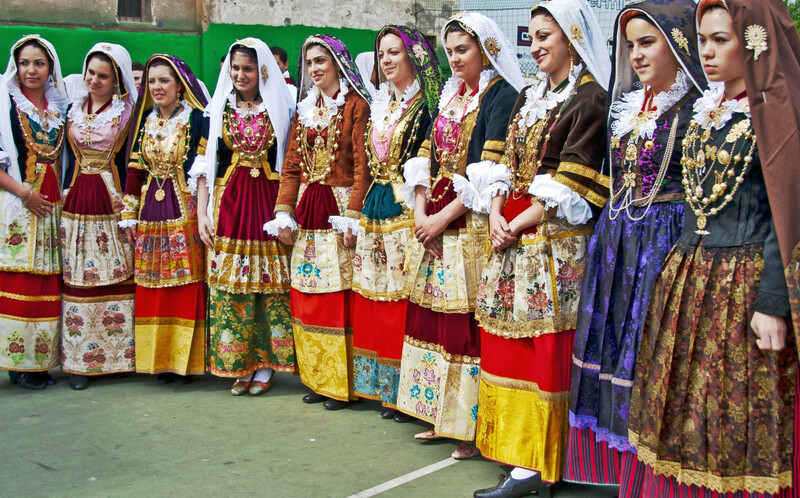 In all Sardinia villages great care is dedicated to the preparation of traditional costumes, whose elaboration is handed down from generation to generation. 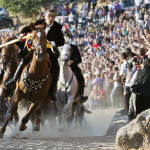 The whole procession prepares the passage of the chariot of St Efisio: before him parades the faithful in traditional dress, the traccas, the religious brotherhoods, the militia on horseback with the old uniforms by the red jacket. The celebrations begin on the morning of May 1st. 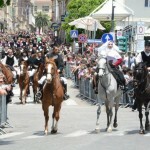 The procession starts from the center of Cagliari in the district of Stampace in the old town. 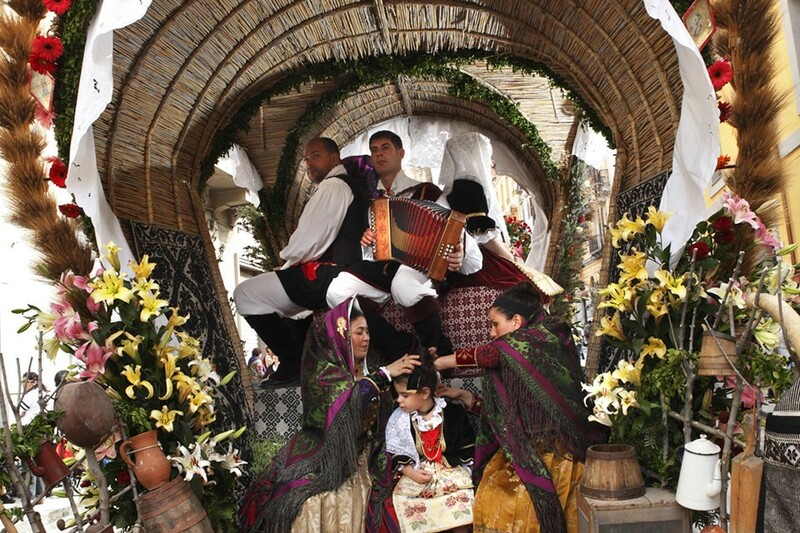 The carriage goes out into the square, where the two oxen are responsible for towing the traccas, the carts decorated with flowers that precede the chariot of the Saint. 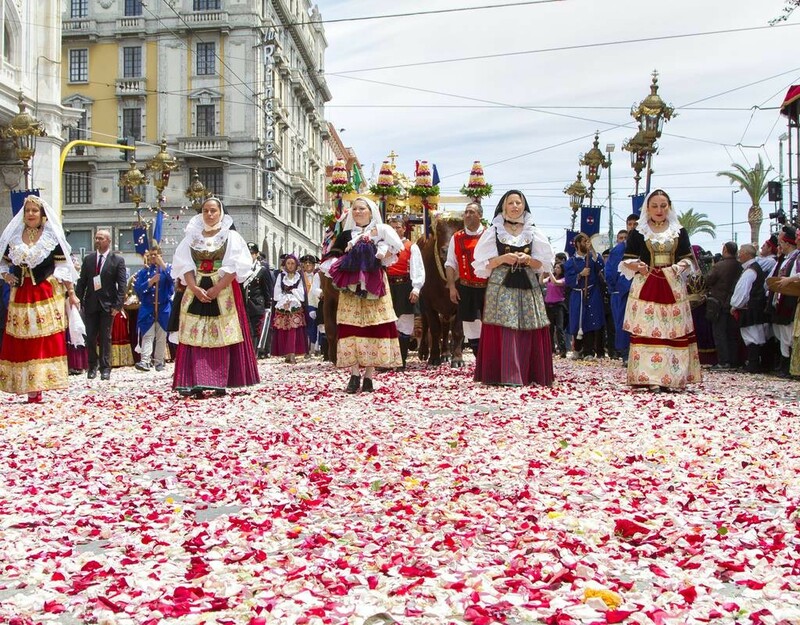 The great procession starts at 10 in the morning with traccas, the carts decorated with flowers, followed by the traditional dress parade, the knights, the Militia and the Guardiania. 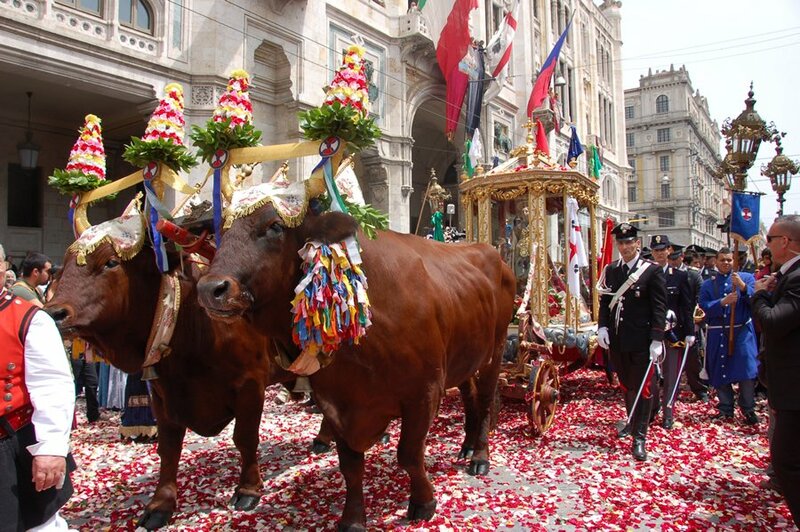 At 12 o’clock The chariot of Sant’Efisio runs through the streets in the center to the town hall. The pilgrimage continues with various stops until Sarroch, where the night is spent. The journey continues up to the village of Nora, the place of martyrdom. 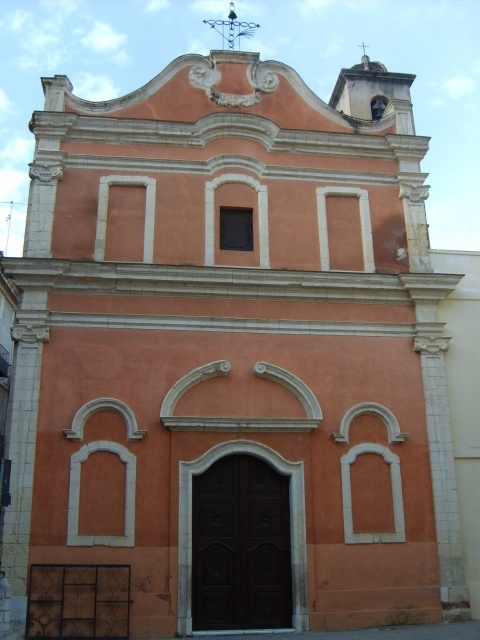 Sant’Efisio runs along the road to the ruins of the Roman city of Nora, then departs for Pula. 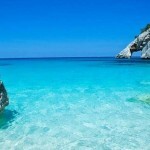 In 1652 in Sardinia – as in all of Europe – the plague was raging. 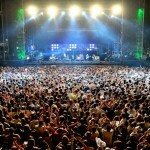 The city authorities asked for help with a solemn vow to Sant ‘Efisio. 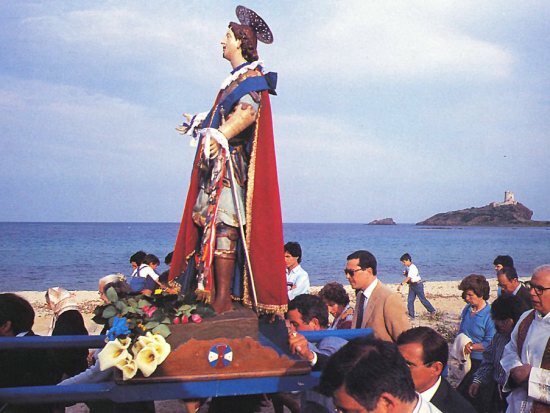 With the Vow, the city undertook to bring the statue of the Saint in procession every year, from the place where Sant ‘Efisio had been imprisoned – in the district of Stampace – to the beach of Nora, where it is said he had suffered martyrdom. 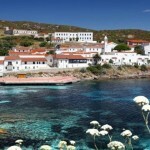 From 1656 it is celebrated St Efisio that saved the city from the plague. 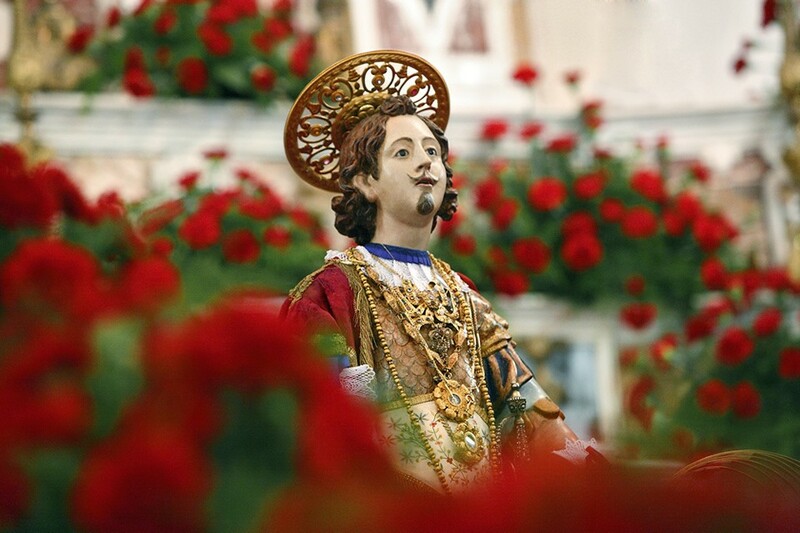 The procession accompanies the simulacrum of the Saint from his church in the Stampace district along the streets of the historical center and up to Nora, place of martyrdom. via Azuni, Piazza Yenne, Corso Vittorio Emanuele, Via Sassari, Piazza del Carmine, Via Crispi, Via G.M. 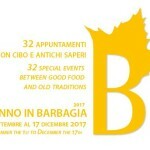 Angioy, Via Mameli, Largo Carlo Felice, Via Roma (common side), Via Sassari (lower part) Viale La Playa, Pescatori Village, Giorgino, Sant’Efisio Church in Giorgino (3:00 pm). Arrival at the church of Sant’Efisio in Giorgino where the chariot is replaced and the travel clothes are made to wear in the Saint. La Maddalena Spiaggia: procession along the Provincial Road to the link with Frutti D’oro and stop for the celebration of Holy Mass in the open square in front of the Church of Sant’Efisio in Su Loi. The journey continues up to Villa D’Orri where the Eucharistic rite commemorating the dead is celebrated in the chapel owned by the Marquis of Villa Hermosa. Blessing and departure for Sarroch where it is said – the saint – had spent the night in the church of the same name. 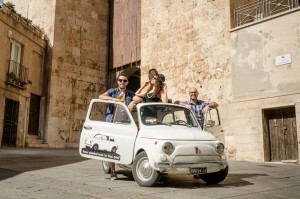 Departure for Villa San Pietro. 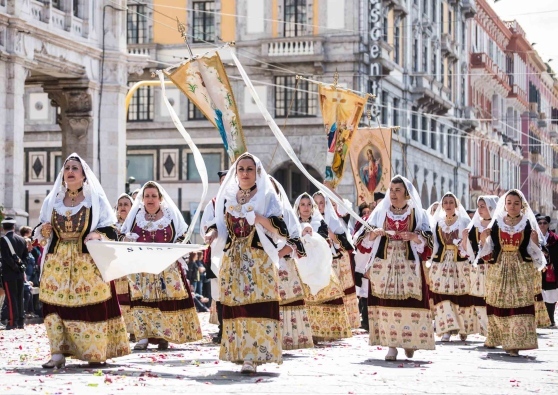 Procession, Mass and departure for Pula: the municipal authorities, the Archconfraternity and the faithful await the Saint to begin the procession along the town. Celebration of the Holy Mass before the departure of the simulacrum for Nora. Feast in front of the statue to commemorate the dead. Stop in front of the cemetery to commemorate the dead. Blessing in the Church of San Raimondo. 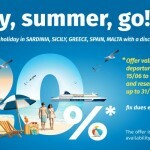 Departure for Nora, stop of the simulacrum near the command of the Navy, ammaina flag and subsequent departure for Nora for the celebration of Holy Mass in the Romanesque church of the beach next to the famous archaeological site of Nora. Holy Masses until 11:00 am celebrated by the ordinary diocesan in the open air. Procession with the simulacrum along the path that leads to the excavations of Nora and then return to the beach. Holy Mass and departure for Pula. Departure from Pula after Holy Mass. This is the place where the martyrdom of the Saint is believed to have occurred. 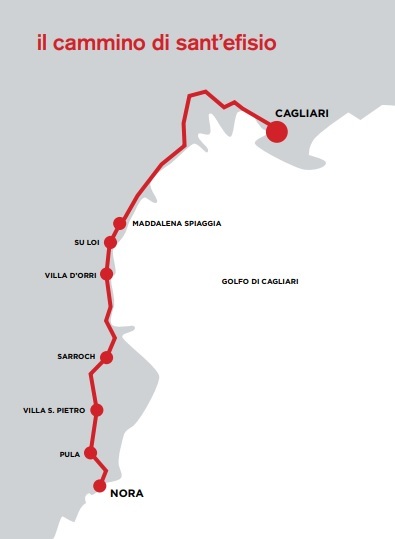 It is the final stage of the journey and then reverse the journey and return to Cagliari at about 10:30 pm. 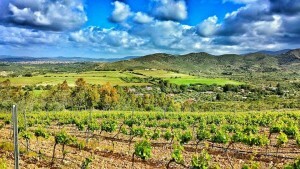 Afternoon from the 5th to the 25th day Novenary in honor of the Saint. On May 22nd, 40 hours of veneration of the Saint are spent and on this occasion the rosary is read which retraces the whole life of Efisio. 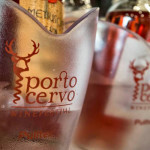 On May 25, the celebration of the festivities in honor of Sant’Efisio officially closes.